Helen has over 25 years’ experience acting in the areas of environmental, public law and local government law. She regularly advises the public and private sectors on a variety of matters relevant to resource management, environmental and local government law and practice. Helen has significant local government experience starting in the late 1980s and early 1990s (1989 to 1993) in England where she headed the Litigation and Licensing legal team at the Oxford City Council. Since that time Helen has continued to advise extensively on local and central government matters. From 2004 to 2010 Helen was the primary provider and client relationship manager for the work done for Papakura District Council (now part of the Auckland Council). This work included all aspects of legal services that a local authority requires and therefore Helen was, in essence, the Council Solicitor albeit external. Since the amalgamation Helen has continued to advice the Auckland Council on a number of issues. Helen now has a similar role for Waipa District Council where she advices on a range of matters for that Council in conjunction with their local legal providers. 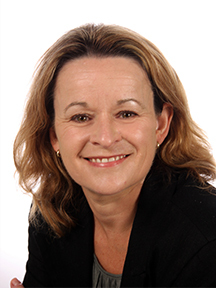 Helen (together with Tama Hovell) was appointed to advise the Independent Maori Statutory Board (established under the Auckland Council legislation) in relation to all the legal issues of concern to them, many of which involve consideration of some extremely difficult Maori law and local government legal and organisational issues. Helen is frequently called upon by central government agencies and government Ministers to assist on aspects of law reform. For example, Helen was involved in advising on the Resource Management (Simplifying and Streamlining) Bill in 2009 and the Future of Pest Management Project for the then Ministry of Agriculture and Forestry in 2009-2010. She is currently involved in various reform projects relating to environmental management in New Zealand. (Land and Water Forum work, the review of the local government legislation and the review of the Resource Management Act). Helen has advised a variety of corporate clients on the full range of resource management and environmental matters including the primary production sector (e.g. Horticulture New Zealand), heavy industry (e.g. Sims Pacific Industries Limited, Transpacific Industries Limited, Nuplex Industries Limited), land developers (e.g. Cooper and Company), energy companies (e.g. Todd Energy, Vector Limited), the oil and gas sector (e.g. Todd Energy) and infrastructure providers (e.g. local authorities). Helen is a Board member of Water NZ and MOTAT. Mike Holm is one of the most experienced environmental and public lawyers in practice in New Zealand. Since the establishment of Atkins Holm Majurey in 2009 Mike has provided strategic advice to a wide range of local and international clients on a variety of high level public law matters and advised and represented clients in contentious resource consent and environmental issues related to major development projects throughout New Zealand. Following completion of law and resource management degrees at the University of Canterbury (1975) Mike was appointed legal counsel for the Commission for the Environment, Wellington (a central government agency which was predecessor to the Ministry for the Environment). In this role he was an advisor to the Minister for the Environment and worked on major legislative and policy matters. He was also directly involved in the auditing of environmental impact reports which were required on major development projects throughout New Zealand and represented the Commission in planning and water consent hearings (1975-1980). He was the author of the first Guide to Environmental Law in New Zealand published by the Commission. While with the Commission, Mike was seconded to the Federal US (Washington D.C.) and UK (London) government environmental agencies as well as the OECD Environmental Directorate (Paris). With the OECD he assisted in the first OECD review of New Zealand’s environmental policies and laws (1979). In 1980 Mike joined Russell McVeagh’s newly established environmental litigation practice. He was the first specialist environmental law partner in the firm and worked on securing approvals for a wide variety of major projects throughout New Zealand including: mining; petrochemical projects; oil and gas exploration and development; power generation; water resources; pulp and paper; urban and city planning; coastal subdivision and port/waterfront developments. Clients included: NZ Synthetic Fuels Corporation (Bechtel and Mobil); Shell; Todd Corporation; Coal Corporation; Cypress Minerals; Auckland Harbour Board; Tasman Pulp and Paper; LD Nathan/Lion; and a variety of other local and international corporate clients. In 1996 he headed Russell McVeagh’s newly established public law practice in Wellington. In this role he advised and represented a range of local and international corporate clients on regulatory issues including high level negotiations with Central Government in relation to a variety of policy and legislative issues. Clients included: IBM; the New Zealand Tourism Board; Westfield; Dow; Daewoo; TVNZ; NZ Dairy Group and Fonterra. He worked extensively on public law issues involved in the establishment of Fonterra which involved major changes to government policy and new legislation. 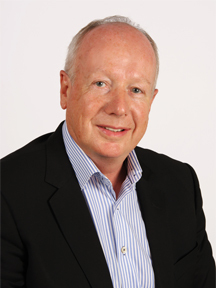 Mike has undertaken high level advisory roles to Government on major legislative and policy reforms including: local government and environmental administration reforms in the mid 1970’s and 1980’s; and expert reviews of the Resource Management Act (1997 and 2009). In 2011 he prepared a joint report (with ERM) for the Ministry of Economic Development on New Zealand’s offshore health, safety and environmental legislative regime for oil and gas exploration and development. In 2013 he chaired a Local Government Efficiency Task Force appointed by the Minister of Local Government to recommend changes to local government legal and policy approaches. Mike has successfully represented environmental organisations in major conservation litigation including: Queen Elizabeth II Trust (Motu River Water Conservation Order – New Zealand’s first water conservation order); Waterfront Watch, Wellington (waterfront development issues); and the Central Otago Environmental Society (Project Hayes Windfarm and Nevis River Water Conservation Order). Since the establishment of Atkins Holm Majurey in 2009 Mike has provided strategic advice to a wide range of local and international clients on a variety of high level public law matters and advised and represented clients in contentious resource consent and environmental issues related to major development projects throughout New Zealand. Paul has specialised in environmental and Treaty of Waitangi law for over 26 years. He has extensive experience in securing environmental consents for major natural resource development and infrastructure projects, including: electricity generation - thermal (gas, coal) and renewables (hydro, wind, geothermal); minerals development (coal, gold and petroleum); dairy processing projects (North Island and South Island); large scale aquaculture projects (mussels and oysters); pulp and paper manufacture and forestry developments. Paul regularly provides advice on Treaty of Waitangi and Maori land issues. He also is Treaty negotiator with the Crown on claims encompassing an area generally between Matakana Island through to Matakana (near Leigh). He is the Chair of both the Hauraki Collective of Iwi and Tamaki Makaurau Collective of Iwi who have been in parallel negotiations since 2009. Paul appears as Senior Counsel before the Environment Court, Maori Land Court, Waitangi Tribunal, and superior courts. The Karikari case in which the Court of Appeal reversed then current case law on sections 3 and 4 of the Town and Country Planning Act. The widely cited Privy Council case of McGuire v Hastings District Council in which Lord Cooke of Thorndon affirmed the place of the ‘Maori provisions’ in the RMA. The TPD cases in which the High Court and Court of Appeal confirmed the law in relation to evidential onus and the review conditions regime. The first wind farm case before the Environment Court (Awhitu). Special Counsel for the Waitangi Tribunal on the release of its Ko Aotearoa Tenei Report (Wai 262). Minister for the Environment’s 2009 Technical Advisory Group on the reform of the RMA. Attorney-General’s 2009 Ministerial Review Panel on the co-management arrangements for the Waikato River Treaty settlement. Paul is a Co-Author of Environmental & Resource Management Law (2nd and 3rd Editions), including the chapter entitled Maori and Environmental Law. 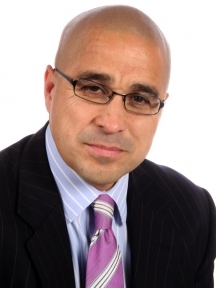 He is also co-author for the Maori chapter of the making-good decisions course for certifying RMA commissioners. Chair - Environmental Section of Inter-Pacific Bar Association. Vicki has 13 years of professional legal experience (in-house and private practice) across a range of local government, resource management, environmental, corporate and Maori law undertakings. Particular details of her professional experience, memberships, and voluntary work are set out below. Negotiating, reviewing and drafting a range of agreements and documents from development agreements, tender responses and leases, to policies, plans and bylaws, settlement agreements and court documents. Liaising with developers, engineers, planners, ecologists, archaeologists, landscape architects, noise consultants, Maori groups, local government staff and councillors, court staff, senior executive teams, environmental groups, and community members on proposed new developments, compliance issues with existing developments, and policy and plan changes. Representing clients in council, Environmental Protection Authority, and court hearings in relation to resource consent applications, marine consents, plan changes, and in enforcement order and environmental prosecution proceedings. Advising on Official Information Act and Privacy Act requests for local government and corporate clients. Producing a report for the (then) Ministry of Economic Development, regarding the health, safety and environmental legislation (including Maritime legislation) applying to offshore petroleum operations and how the legislative regime could be improved. Producing a Supplement to Making Good Decisions Commissioning Training Programme for the Ministry for the Environment on Maori values and worldviews. Presenting various seminars including a series of seminars on Maori values and worldviews throughout the country to local authorities and corporate personnel. Being the health and safety representative from 2009 – 2012. During university Nicole worked in both in-house and corporate law teams and has experienced a broad range of work types, topics and situations. Nicole was admitted to the bar in April 2016. Involvement with a range of iwi clients on issues ranging from consultation requirements, resource consent matters, Marine and Coastal Area Act applications and process, and general advice. 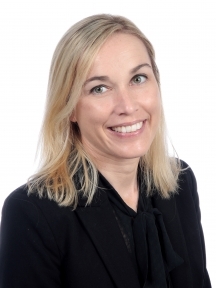 Nicole regularly assists in the preparation of evidence and submissions (for both Council and Court hearings), and has assisted other members of the team in preparing and updating textbook contribution chapters, and in researching and drafting legal and technical journal articles. Nicole has appeared as a junior in the High Court, Environment Court and at the council hearings level.